The presentation was to to recognise the company's achievement of a 2017 Queen's Award for Enterprise in International Trade over the past three years. 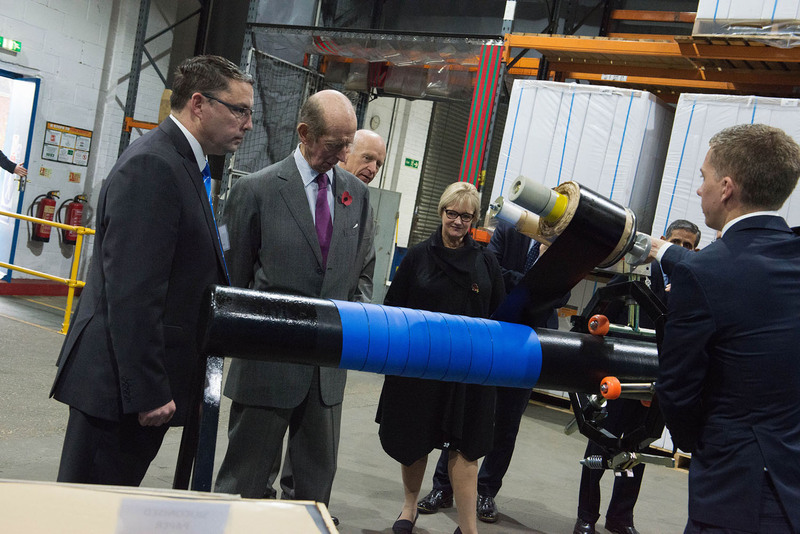 A ceremony was held at the company's Smarden, Kent, premises, where His Royal Highness was joined by HM Lord Lieutenant of Kent, Viscount De L'Isle MBE, and other guests including the Mayor of Ashford, Kent. The guests were received by Terry Capps, Premier Coatings Managing Director. A tour of offices and factory included a practical demonstration of some of Premier Coatings protective tape systems. Part of Winn & Coales International's world wide companies and agents, Premier Coatings are one of the leaders in corrosion prevention and sealing technology.